The Kobo Forma eReader makes size matter with a bigger screen, larger handle and additional durability for longer stretches of reading. The Forma is very much a continuation of what Kobo has done before, only the focus has angled toward comfort and longevity. Where Kobo has made some of its devices smaller, the Forma goes the other way—it adds more flexibility in how you hold it when reading. The most obvious change is the handle on the side. The Forma is less like a paperback and more like a paperback with one side rolled backward to grab hold. 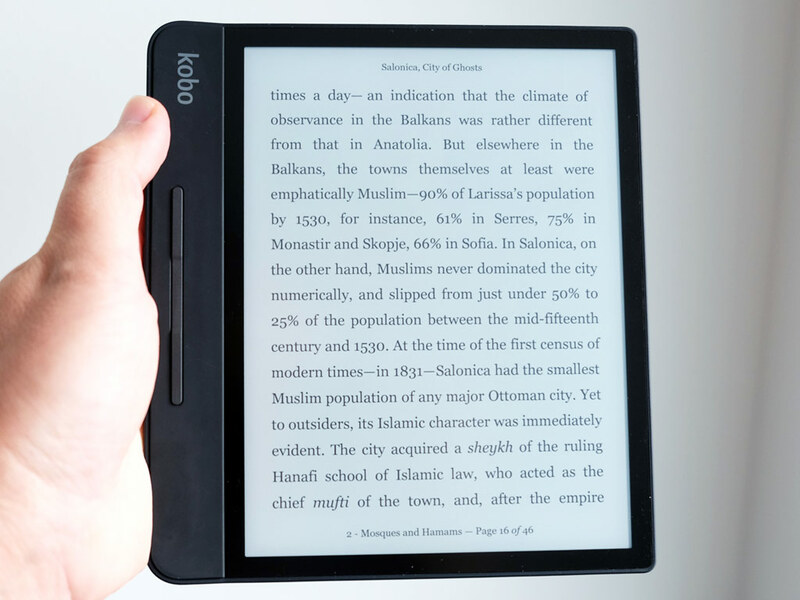 Here, Kobo has added a piece to the side that makes it noticeably wider than more recent models. It’s slightly thicker than the rest of the unit, with a bend to better contour when being held. To add something extra, Kobo also put physical page turn buttons on the face. The touchscreen functions are the same, so you can still turn pages the old way, but pressing the buttons offer another option. This is all meant to complement the 8-inch Carta E Ink display—the largest to date on a Kobo eReader. Resolution is the same as before (300 dpi), so you won’t get sharper text here, but still looks great anyway. The ComfortLight Pro adjustable blue light filter is also back to make reading in the dark easier. There’s 8GB of internal storage, which is good for a whole lot of books and documents. The IPX8 rating makes the Forma water-resistant down to two metres for up to 60 minutes. It’s apparently pretty rugged, too. 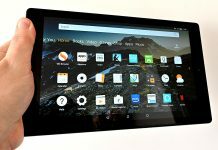 Kobo says the device can withstand accidental drops and general physical wear and tear better than any model predating it. I didn’t test this out, as I like to keep my stuff protected, but it is something the company claims. The power button is on the handle side, with a micro USB port for charging. I would’ve liked to see a USB-C port instead, but at least the Forma won’t need recharging too often. 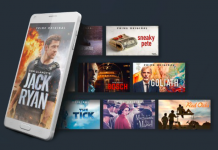 The Kobo eBookstore is the primary venue for loading up on eBooks, and you always have access to that when connected through Wi-Fi. Availability has improved over the years, with popular titles almost always there to sample, purchase, and download. It’s the other options that I think are equally interesting. 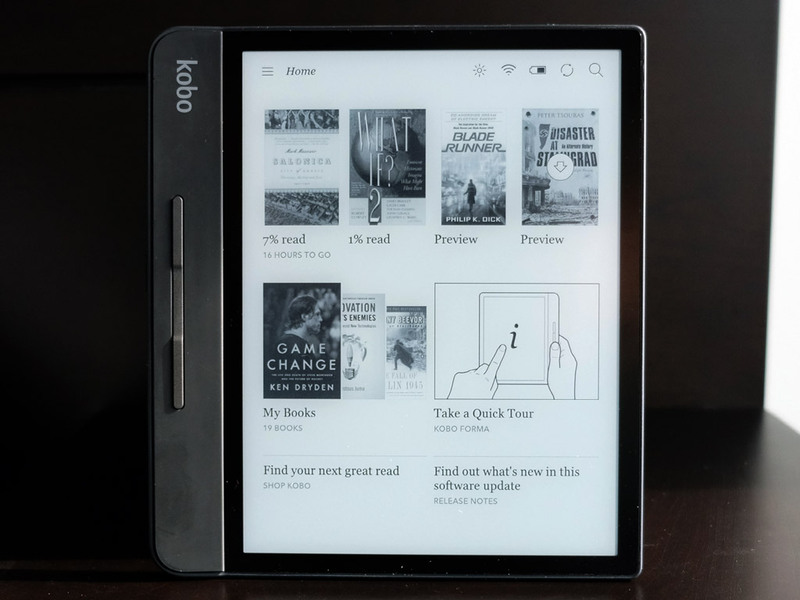 Like other Kobo eReaders, the Forma fully supports OverDrive, the platform public libraries use to loan out books digitally. All you need is a library card from a participating location, and you are good to browse and take out titles from the comfort of anywhere with a Wi-Fi connection. Then there’s Pocket. This has long been a favourite of mine for saving articles from the web on a browser that I can then read later. The Forma continues Kobo’s integration with the platform which lets you read whatever you’ve saved. The range of format support extends to basically any file type the Forma supports. For example, if you downloaded some eBooks that are out-of-print and copyright-free, you can load them onto the Forma to read there. The process does require connecting the eReader to a computer and dropping the files into the right folder. That goes for documents, too. If you have PDFs or eBooks in other formats, the Forma will probably be able to read them. As of now, EPUB, EPUB3, PDF, MOBI, TXT, HTML and RTF will work. For images, JPEG, TIFF, GIF, PNG and BMP are good. Even the CBZ and CBR comic book formats are okay. I’m a fan of the handle on the side. It didn’t take long for me to like it because it just simplified placement for me. I didn’t have to shift much or try to cradle the Forma at any point. Naturally, the accelerometer means you can hold it with your right or left hand, since the screen will orient either way. You can also read in landscape mode, with the handle at the top or bottom. I tried this method, but never found it appealing. Your reading preferences may be different. The advantage of the bended handle is that it’s easier to prop up and lean the Forma against something for hands-free situations. In fairness, outside of the additions and tweaks, reading on the Forma wasn’t that different as far as the screen was concerned. Sure, a little more room to squeeze in text is nice, but this is essentially a slightly larger iteration of the Aura One in that regard. Even the water-resistance didn’t feel demonstrably different from the Aura One or Aura H2O. For me, it was the handling that made the biggest difference. The physical page-turn buttons are okay, except for having to contort my hand and thumb to hit the lower button (to go back a page). Ideally, you’re not supposed to turn back pages too often, but it happens, and I found it easier to just reach out and tap the screen with my thumb instead. I can see how the size will turn some people off. This isn’t exactly the eReader you throw in a purse or slide in a pocket. It takes up space, and is closer to a tablet that way. The handle is also one of those things that you will either like or not. The Aura One or Aura H2O are great alternatives with smaller frames. If you want to go bigger, though, the Forma is clearly the way to go. 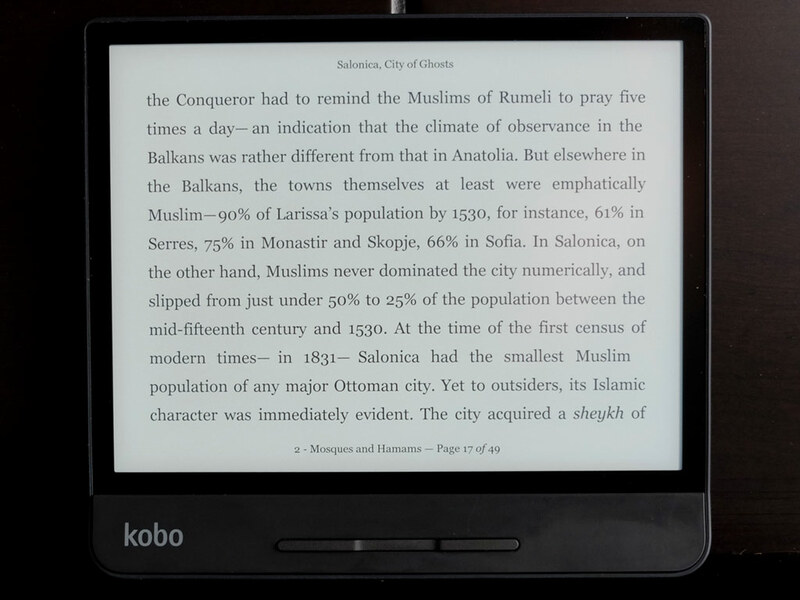 Kobo tried to address reading comfort for the hands, as opposed to the display, with the Forma. Gaining an inch helps visually, but the primary reason to consider this eReader is the handling. If you have a tendency to read with a one-handed grip, this is exactly the form factor trying to pull that off. There’s not that much that’s different, otherwise. 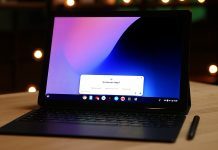 The same reading features apply, like definitions, notes and highlighting, and battery life is really not that different from previous models. The Kobo Forma is available on Best Buy now. I’m a fortunate man in being able to do the fun job of following and reporting on one of the most exciting industries in the world today. In my time covering consumer tech, I’ve written for a number of publications, including the Globe and Mail, Yahoo! Canada, CBC.ca, Canoe, Digital Trends, MobileSyrup, G4 Tech, PC World, Faze and AppStorm. I’ve also appeared on TV as a tech expert for Global, CTV and the Shopping Channel.